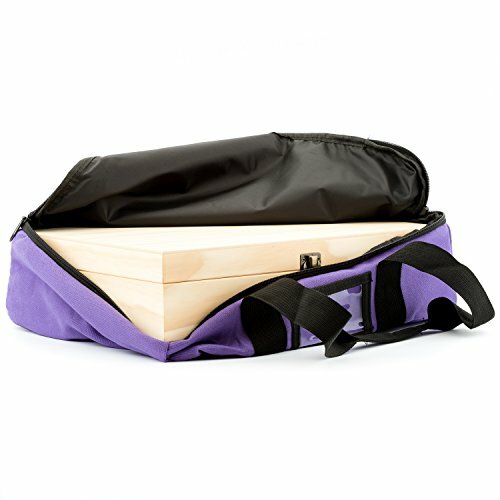 Essential oil wooden storage boxes are not designed well for travel or easy transportation. 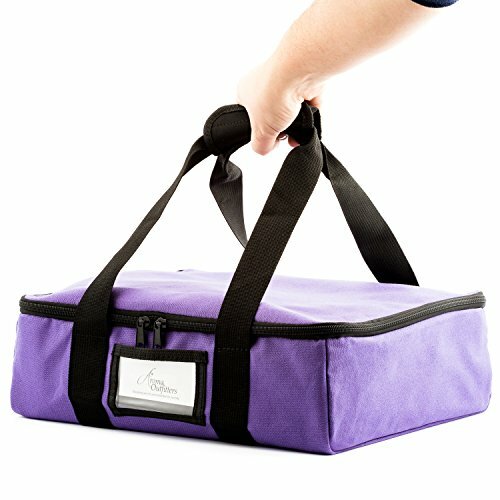 When you need to take your oils with you, carrying a large box can be awkward at best. 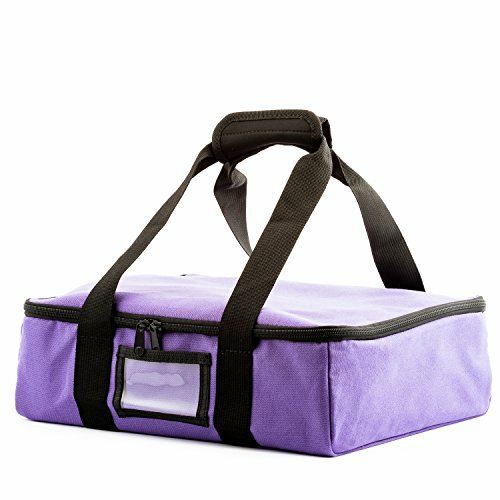 This carry bag eliminates the hardship with carrying a bulky box. 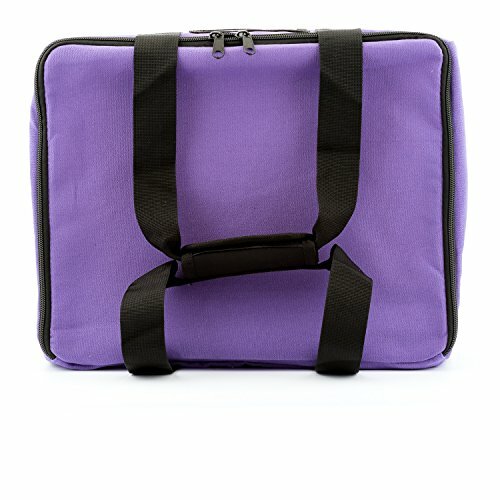 The bag makes it easy to transport with room for large reference guides and/or handouts that easily fits in on top of the box securely inside the bag. 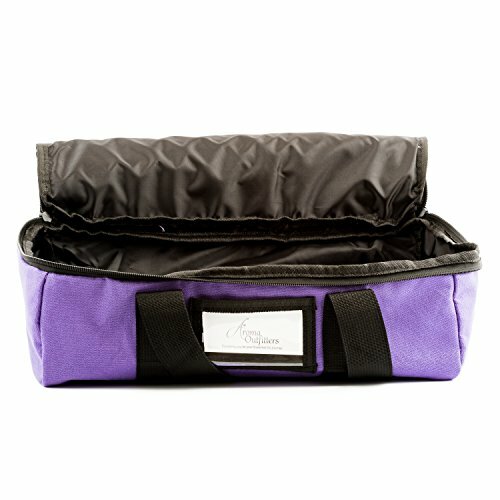 Transports box while oils stay upright, preventing messy and costly essential oil leaks. 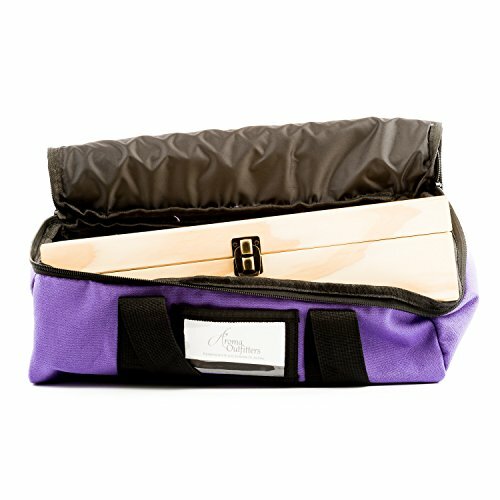 ► NO MORE AWKWARDNESS Easily carry your essential oil box while traveling. 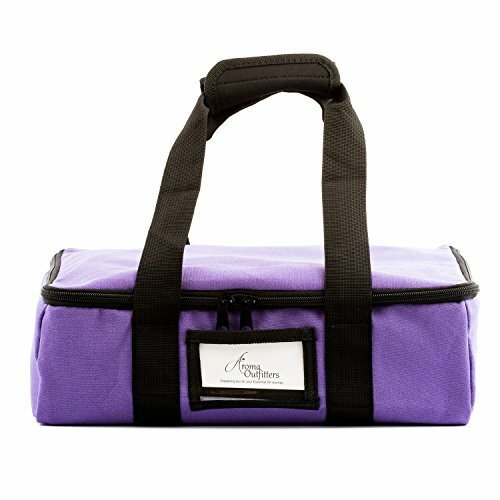 Safely and securely transport your wooden essential oil boxes to classes, events and presentations with this sturdy canvas carry bag. ► UNIVERSAL Fits Aroma Outfitters, Earth’s Gift, Soligt, Aroma Designs, Luna Oils (most large wooden boxes up to approximately 13.4 x 10.8 x 3.5 inches. Does not fit Aroma Outfitters 87 bottle box (coming soon). 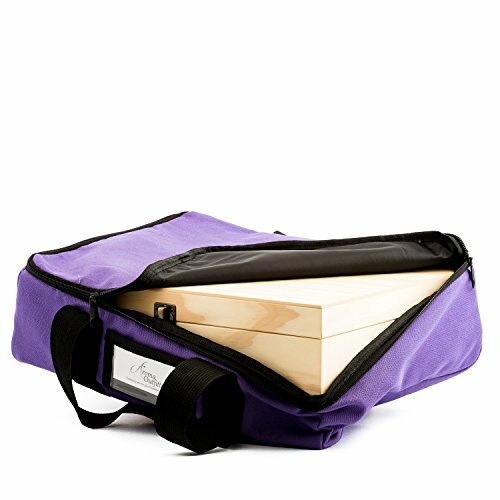 Canvas bag is flexible to fit a variety of most large wood boxes. ► PLENTY OF ROOM to fit your reference guides and printed materials. Business card holder sewn into the side provides a place to hold business cards or small tools. 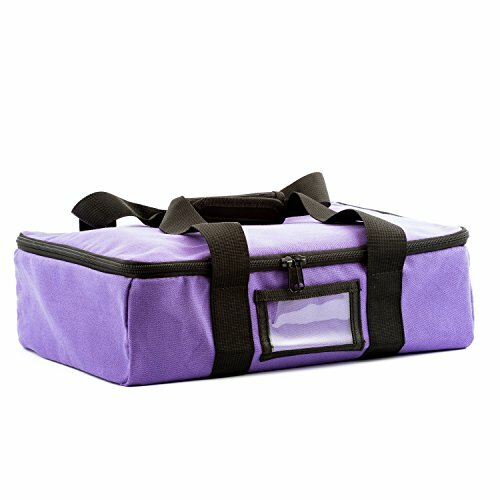 ► PADDED HANDLE Makes for easy transportation. 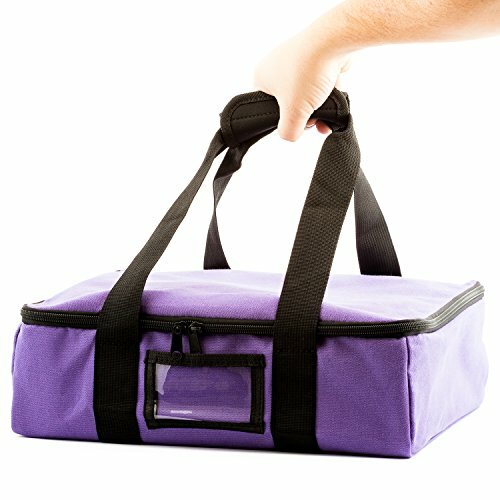 Bag is designed to transport oils in an upright position to prevent leakage. ► 100% SATISFACTION GUARANTEE! Lifetime Warranty against workmanship or material defects. Just contact us and we will make it right!